There are several different ways to support Cookie Project Honduras financially. Please consider each of the options below. If you would like to help, complete the form at the bottom of the page where you can make a donation via PayPal, or mail your contribution to: P.O. Box 546, Slaughter, LA 70777. 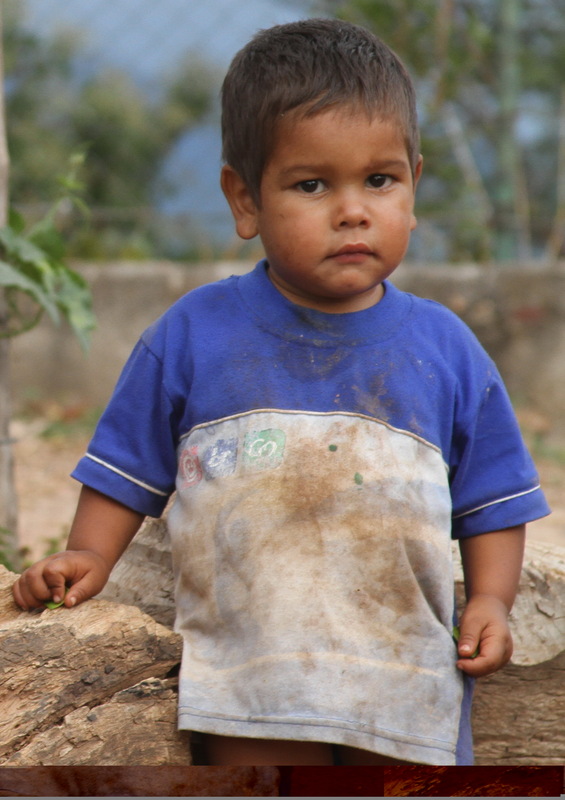 Sponsorship with Cookie Project Honduras means donating funds to support the nutritional and/or personal needs of a Honduran child. For $15 a month you can sponsor a child and meet his/her nutritional or personal needs. ~ Nutrition – $15/month ~ Sponsoring a child for nutritional needs means providing him/her with four freshly baked “Super Cookies” and milk every day of the month. One serving of cookies is packed with 500 calories, 32 grams of fat, 12 grams of protein, and a vitamin and mineral premix to bring each child out of malnutrition. ~ Education & Hygiene – $15/month ~ Educational and hygiene needs are met by supplying items for school and daily personal care. School supplies, uniforms, and shoes are purchased twice a year, and each month personal care items, such as soap, shampoo, and toothpaste are distributed. Additionally, project children are given deparasiting medication twice a year. By sponsoring a child for $30 a month you can supply both the nutritional and personal needs of a child in Cookie Project Honduras. If you would like to sponsor a child, please contact us by using the form at the bottom of this page. To sign up for reoccurring monthly payments through PayPal (all major credit cards accepted) click the desired PayPal button below. Click here to sponsor a child’s nutrition or education/hygiene needs for $15/month. Click here to sponsor a child’s nutrition, education, and hygiene needs for $30/month. Contributions for Christmas will go toward providing a Christmas gift, meal, and basket of food for the entire family of a child in Cookie Project Honduras. A $10 donation will provide a gift for one child. For $15, a basket of food for Christmas day will be assembled on site and delivered by the December mission team. 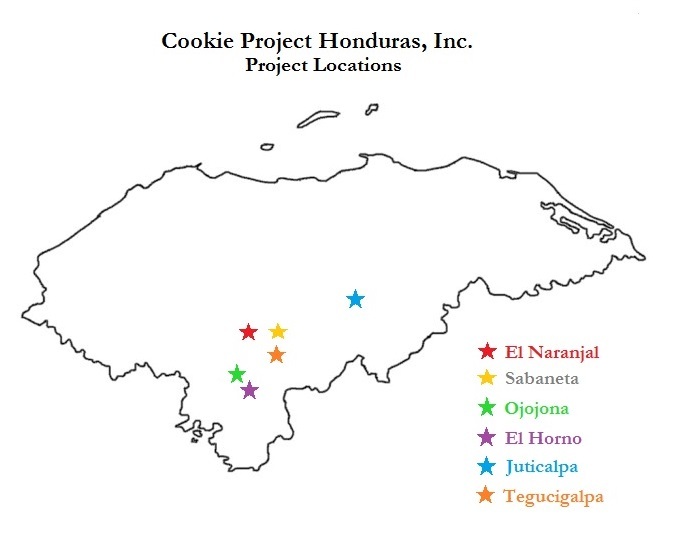 In May 2014, Cookie Project Honduras purchased land in the heart of El Naranjal. The land will enable the project to build a permanent site for baking cookies and provide educational meetings/training for families in the project. 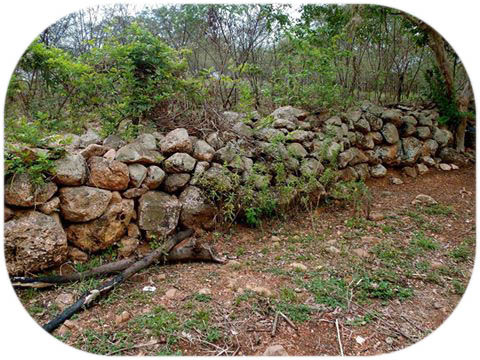 The first building project is to construct a large concrete wall for safety and privacy. The wall will also serve as one wall of a future building on site. 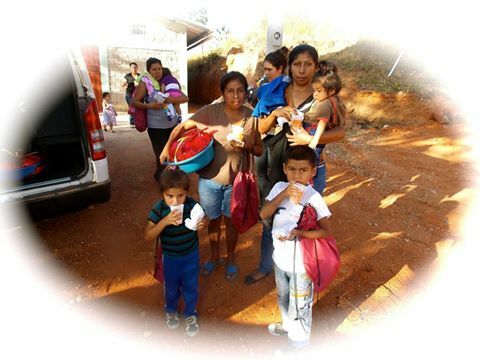 Donations to the building project will be allocated for the construction of the wall and building on site in Honduras. Go on a Mission Trip to Honduras! Cookie Project Honduras takes two teams each year to the villages in the project. In May, the team participates in a variety of activities that meet the needs of the children and families in the project. Activities include: Vacation Bible School, nightly Bible studies, delivering rice and beans, building pilas, ministering to the families, and more. December’s team focuses on providing a Christ-focused Christmas for the children and their families. A special meal and fellowship time is a highlight of this trip. Children in the project are given a special gift, and a special basket for Christmas Day is delivered to their families. 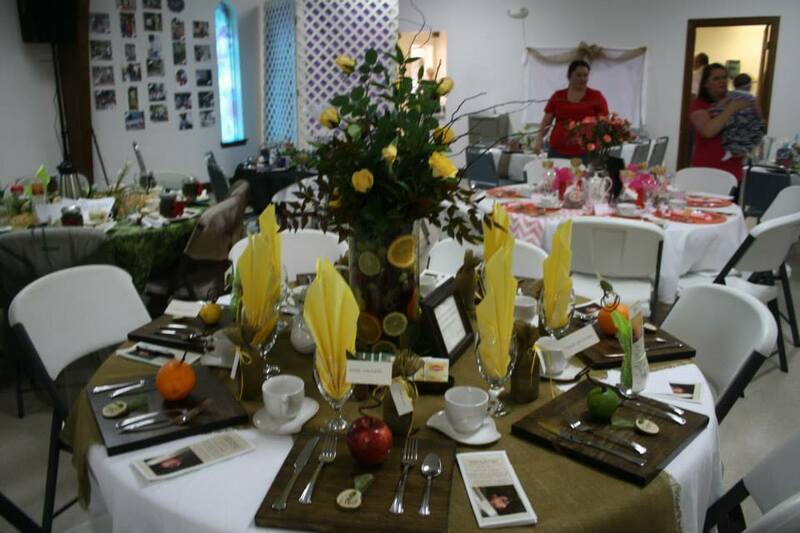 On the first Saturday in March, over 200 ladies from a dozen area churches gather to fellowship over a three course meal with a special guest speaker, entertainment, and silent auction. All proceeds from the event benefit the children and current needs of Cookie Project Honduras. The next luncheon will be on the first Saturday of March 2019 at Slaughter Baptist Church in Slaughter, Louisiana.